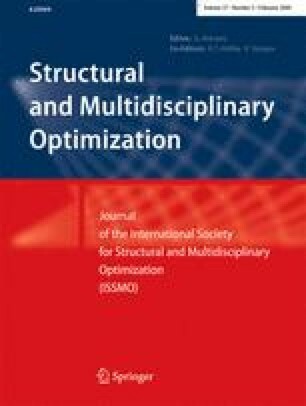 This paper presents a technique for imposing maximum length scale on features in continuum topology optimization. The design domain is searched and local constraints prevent the formation of features that are larger than the prescribed maximum length scale. The technique is demonstrated in the context of structural and fluid topology optimization. Specifically, maximum length scale criterion is applied to (a) the solid phase in minimum compliance design to restrict the size of structural (load-carrying) members, and (b) the fluid (void) phase in minimum dissipated power problems to limit the size of flow channels. Solutions are shown to be near 0/1 (void/solid) topologies that satisfy the maximum length scale criterion. When combined with an existing minimum length scale methodology, the designer gains complete control over member sizes that can influence cost and manufacturability. Further, results suggest restricting maximum length scale may provide a means for influencing performance characteristics, such as redundancy in structural design.